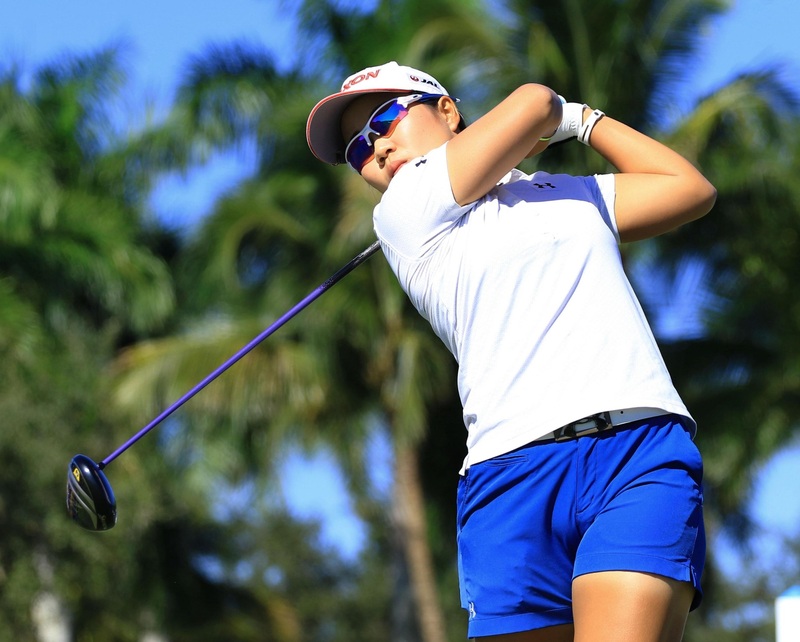 NAPLES, FLORIDA - Nasa Hataoka shot a 4-over-par 76 and dropped into a seven-way tie for 13th after Friday’s second round of the CME Group Tour Championship, the LPGA’s season-ending event. Despite starting the day in second place, one shot behind first-day leader Amy Olson, Hataoka struggled to find her rhythm and carded four bogeys without a single birdie at Tiburon Golf Club. Americans dominate the leaderboard after the round with Lexi Thompson reeling off five birdies for a second-round 67. She has the lead with a 12-under total and sits three strokes ahead of Olson and Brittany Lincicome. Hataoka, aiming for her third title on tour, is at 4-under, eight shots behind Thompson. The 19-year-old had two straight bogeys from the par-3 eighth and failed to make up for it on the back nine, dropping two further shots. “Unlike the first day, I can’t find a single thing I did right,” said Hataoka, who had eight birdies in her opening round. 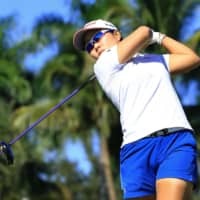 After her Thursday round Hataoka was in the provisional lead in the chase for the $1 million tour title prize, and despite still being the leader among the top-five contenders in this tournament, she has fallen back to fourth in the season-long race. Pre-tournament points leader Ariya Jutanugarn overcame a slow start to climb to 3-under and back into the lead for the overall title. Brooke Henderson is second and Minjee Lee third with two rounds still to play. Sakura Yokomine is tied for 37th after shooting her second straight even-par 72, while Ayako Uehara moved into 59th with a 3-over total.